Jean Alesi stunned everybody in the first round of the 1990 season. The 2019 Formula 1 season is almost upon us, and after a long winter away, expectations are high ahead of the opening round. Testing produced times that hint the field could be extremely close this campaign, with some suggesting that the entire grid is separated by less than 2 seconds. The first round of the season is always highly anticipated, as it's the first opportunity to see the new cars and drivers, due to the fact that apparent pace in testing is never an exact science. 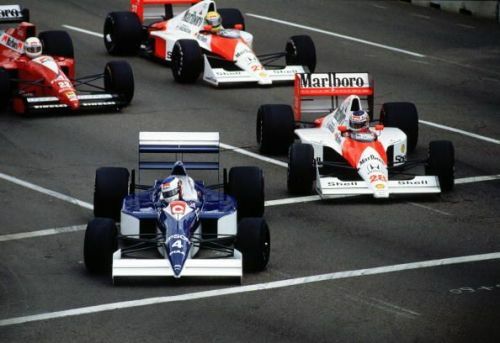 While the Grand Prix doesn't always live up to expectations, there have been some stunning curtain raisers over the decades, and here's 5 of the best. Ever since the Australian Grand Prix was transferred from the streets of Adelaide to Melbourne in 1996, the Albert Park Circuit has hosted the Formula 1 curtain raiser more often than not. While the previous two years' Grands Prix left much to be desired, the race three years ago, though, was an incredible spectacle. As we've become accustomed to in the new V6 era, the two Mercedes cars occupied the front row, Lewis Hamilton, ahead of Nico Rosberg on the grid, but the Ferraris muscled their way past the pair going into Turn 1. Hamilton had a horror-start, the first of several during this season, and was sixth by the end of the first lap. 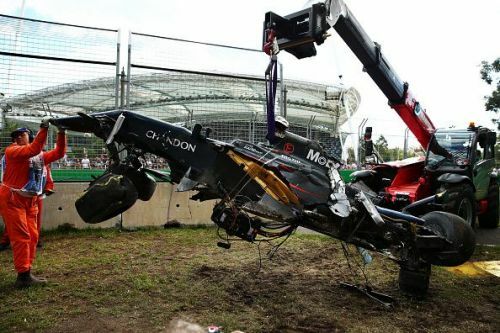 The order remained largely the same, Sebastian Vettel leading Kimi Raikkonen, until Lap 17 of 57, when Fernando Alonso’s McLaren ploughed into the back of Esteban Gutierrez’s Haas in a spectacular accident to bring the red flags out.